Health & Safety is not just Engineering or Arts or Science, and also not just teaching, preaching, policing, advising, publishing, serving, or marketing, but it involves all the said above and even more. Health & Safety job is more than a Doctor, A Doctor can treat a patient only after injury but they speak on ‘prevention is better than cure’ but a Health & Safety Practitioner demonstrates!!! Speaking on experience and skill, it requires huge special skills. It is all about bringing the Health & Safety thought-process in the mind of employee’s which not just easy to cultivate. More than a marketing profession!! Health & Safety job is not just enforcing on certain acts like police, but it is to bring about changes along with motivation. More than a police! Investigating an accident needs lots of experience and depth of knowledge on subject and system. Health & Safety is more than a detective job!!! Fire incidents, on investigation needs, more on technical skill and scientific analysis. Scientist can prove subjects which is available on earth, but we has to analyze things which has gone out of earth. Isn’t a more than a scientist..?? Teachers and professors will teach a student who has passed certain standard putting lots of constraints like exams and test, with the expectation of passing out exam. But, providing training to a worker who haven’t passed schooling and expecting 100% implementation. It is a huge challenge. Is it not? ?.,more than a Professor..!!! More and above all, entities like quality, environment, security, etc., has obtained a status of ISO means standardization. This implies, we could standardize certain parameters and process all over the world. But, Health and Safety has not been given ISO, the one main reason is that, H&S cannot be standardize across the globe because it depends on psycho-social human environment and it varies person-to-person, culture-to-culture and geography. It is quite difficult to understand the concept of Health & Safety altogether. So, be proud to be a Health & Safety Profesional. It is the field that encompasses all engineering branches. When you take it with more passion, there is no other field other than this to enjoy!! 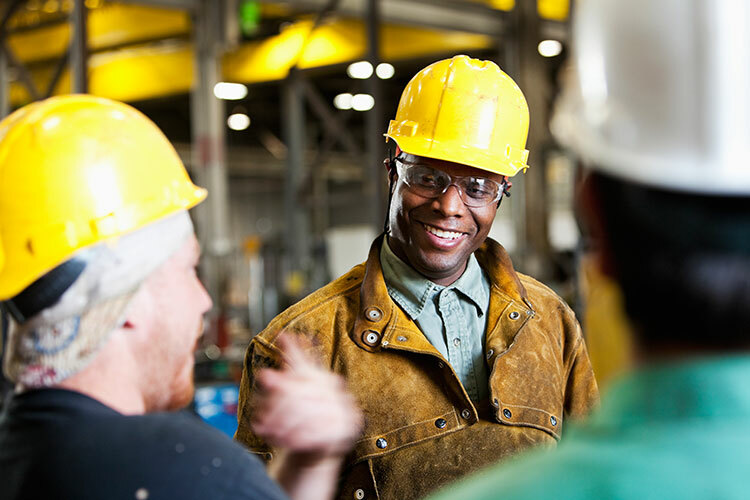 Health and safety officers are vitally important to larger companies, especially those involved in manufacturing. Not only are workplace accidents and health hazards expensive, they can bring an onslaught of legal problems. Interviews can be tough, because potential employers want to know that you have what it takes to protect both the company and its employees. Here are 10 questions you can expect if you’re called for an interview. 1. What would you do the first week on the job? On the surface, this question is about priorities, but it’s also designed to find out whether you know what you need to know to do the job – whether you know what’s important. A good answer would include inspecting any facilities that are in your area of responsibility, getting to know the managers at those facilities, and examining the company’s safety record to identify any patterns. 2. How would you handle a plant manager who thought safety procedures were a waste of time? This question is partly about whether you’re naïve enough to think that everyone is as enchanted with safety as you are, and it’s partly about how you handle opposition. A good answer would include trying to convince the plant manager of the importance of safety using facts and figures (accident claims, down time, lawsuits, etc.). You’d also want to cover what you’d do if you absolutely couldn’t win the plant manager over. One good answer could be acknowledging both the plant manager’s feelings as well as the company’s requirements – and asking for his suggestions on how they can improve the safety regulations. 3. What would you do if someone called and said there had been a serious accident at our facility? 4. What would you do if a plant manager asked you to ignore a safety violation? 5. Tell me about the biggest challenge at your last job. The purpose of this question is to get some insight into your personality and to what you find difficult. If you describe something that’s a common occurrence at your prospective employer, you’re unlikely to get the job. One good approach is to mention things that are likely to annoy your prospective employer, too, like employees who are always trying to circumvent safety procedures. 6. How do you handle record-keeping? 7. Say you’ve been here six months. What kind of routine do you have in place? This question is about finding out whether you know what the job entails. A good answer would cover how often you’d do inspections, how often you’d conduct training, how you’d track compliance, etc. 8. Tell me about the latest health and safety regulations. This question is about whether you’re up on the latest developments in the industry. Before your interview, spend some time on the internet to find out whether there have been any recent changes and what the impact of those changes will be. 9. What do you think is the number-one priority for a health and safety officer? This question is designed to tell your interviewer whether you and the company share the same priorities. There are two main ones, and as long as you mention both of them, you should be fine: to keep employees (and any visitors) safe and to protect the company from liability. 10. What is the worst safety violation you’ve ever seen? This question is designed to highlight your standards. If your “worst violation” is something your prospective employer does every day, you may be out of luck. A better idea is to give the most egregious example you can think of – something so bad that it’s highly unlikely this company is doing it on a regular basis. Most of the interview questions asked of candidates for positions as health and safety officers are designed to find out two things: whether you know how to protect people, and whether you know how to protect the company. As long as your answers highlight your proficiency at and commitment to those two things, you should do just fine.